A Sandy man and his fiancee were arrested Sunday evening and accused of murder in connection with the Saturday death of the man's 3-year-old child, the Clackamas County Sheriff's Office reported. The child, who has not been identified, died of physical and nutritional child abuse, according to the Oregon State Medical Examiner's Office. Donald Cockrell, 27, and Michelle N. Smith, 24, were lodged in the Clackamas County Jail just after 8:15 p.m., said Detective Jim Strovink, the sheriff's office public information officer. The couple are expected to be arraigned Monday. He said he could not say if the child was a boy or a girl. "I can't get into all the details," he said, "but we were summoned to a Sandy home on Saturday to investigate the death of a child." He said that an autopsy was performed Sunday, and the results would be released Monday. He said the child was living with Cockrell, the child's father, in a residence owned by his fiancee's parents. The parents, he said, lived in separate quarters in the home. When investigators arrived, he said, they found five minor children in the home. Two, Strovink said, were Cockrell's children; the others are Smith's. Representatives from the Clackamas County Department of Health, Housing and Human Services were called to the home to remove the children and take them into protective custody. Cockrell and Smith live in a house owned by Smith’s family. Five children lived in the house with them, two (including the child who died) were Cockrell’s children and three belonged to Smith. Did Michelle's parents not notice the abuse? I say charge them, too. Michelle's father is 55 yrs old and her mother is 53. They're old enough to know better. 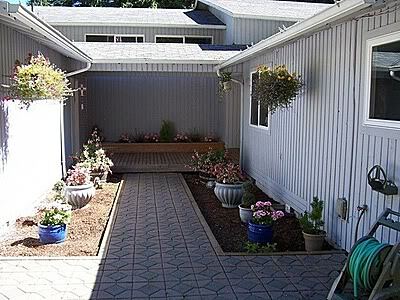 Wow that is a nice home. Your right BJ what is up that the Grandparents did not notice the child being neglected and abused? I can't believe the name of the child has not been released. 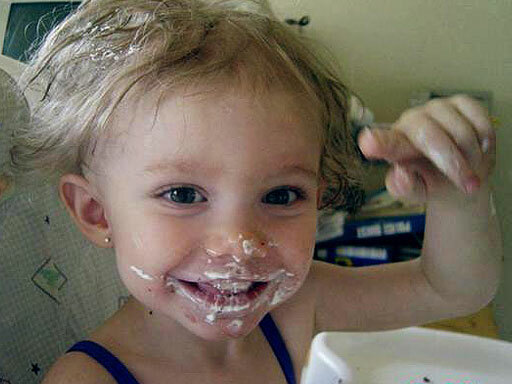 Monday, the girl was identified as Alexis Marie Pounder. 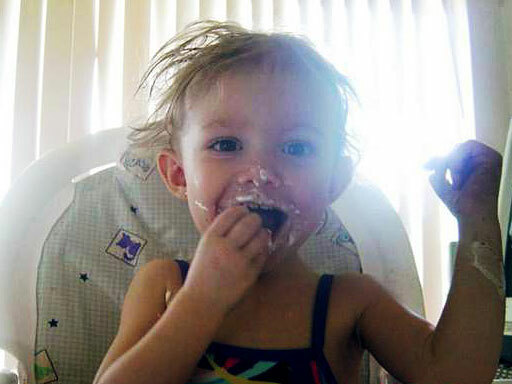 The Medical Examiner states that she died of physical and nutritional child abuse. Saturday, deputies were sent to investigate a disturbance at 22050 SE Cottontail Lane in Sandy. When they arrived, they found the child's body - along with enough indicators to call in the Violent Crimes and Child Abuse teams. Police discovered the dead child Saturday at the couple's home in Sandy...............I would like to know how long the child had been dead? Me too BJ. I want more information. Nutritional child abuse? Wouldn't the grandparents notice the child being too thin? None of this makes any sense!!! It can be expected these two (2) inmates will be arraigned on this matter in Clackamas County Circuit Court, on Monday, January 11, 2010 at 3 p.m.
A little more than 3 hours from now they should be in court. 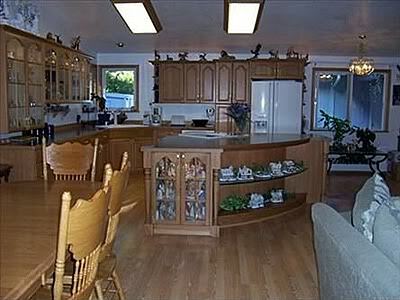 On Cottontail Lane, the story in one home may be anything but a fairy tale. Results of an autopsy, released Monday morning, tell the tale of physical and nutritional child abuse that led to the death of a 3 year old there Saturday. A couple at the Cottontail Lane home was arrested Sunday and charged with murder. Im sick to death of these stories over and over again. A 27-year-old Sandy man was charged Monday with murdering one of his children and torturing another. 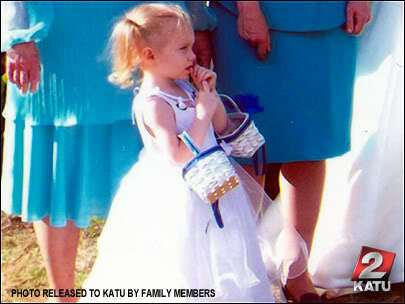 Clackamas County prosecutors alleged that Donald Cockrell, along with his fiancee, 24-year-old Michelle Smith killed 3-year-old Alexis Pounder by physically abusing her and starving her to death. New charges, revealed during an arraignment hearing, alleged that Cockrell and Smith also assaulted and tortured another child, Pounder's sister, according to Assistant District Attorney Christine Landers. The new allegations involving a second child Cockrell fathered came from court documents that described Alexis Pounder's death as due to "blunt force trauma" and "acute starvation." 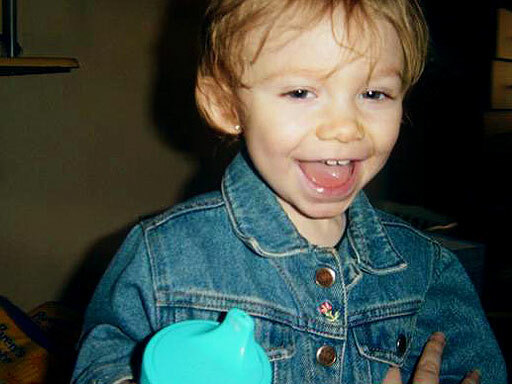 Michelle Smith was not the biological mother of either child; however, the family lived with Smith's parents on SE Cottontail Lane in Sandy, where on Saturday night Clackamas sheriff's deputies discovered the dead body of little Alexis Pounder. Michelle Smith had three children of her own that lived with her and Cockrell. In all, the couple had custody of five children - all minors under 14 years old - and the surviving ones were taken by the Oregon Department of Human Services into state custody, Sheriff's Detective Jim Strovink said. Cockrell and Smith were charged Sunday night with Pounder's murder; bail requests were denied. Neither had a criminal record according to the state. Monday, they were arraigned on two counts each involving the neglect, abuse and death of children - one count each of murder by abuse and one count each of torturing a child - though prosecutors did not seek Measure 11 penalties and instead described the crimes as "unclassified felonies." A neighbor said he "had no idea what was going on" in the Smith household. "I know I've got a three-year-old grandson, and I cannot fathom something like this," Larry Ulrich said. Having a real hard time reading this. I agree with Artgal. I am so sick of hearing about these so called parents. What the hell is wrong with people?? for these monsters. Now lets get those parents in to talk with LE on just exactly what they know & if they are culpable in even the slightest degree lock them up too. to have them stand before me when they were convicted. I read somewhere on VH that meth addicts have sores on their face and I see something on this woman's face? I am sure their defense team will come up with some excuse for this. Wrap, you ask what is wrong with these people...I think evil is rampant and there is not enough people who actually give a damn about the children and those that do are mostly powerless to change anything beyond their own little world. acne, but you are right, unusual for a 24 year old and one with several children to have acne problems this late and this red. 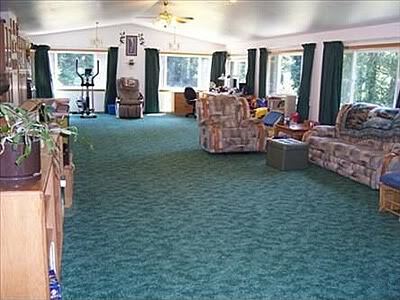 Is that a house or a double wide trailer? I have a real hard time hearing cases of parents starving their children. How could anybody withhold food from a child? What a slow and painful death. And the g'parents...they had to have known. And look at the house they were living at...it is not like she starved b/c they were dirt poor and living on the streets. Horrific. I wonder when that pic was taken? She seemed to be of normal weight then. They live in a house. 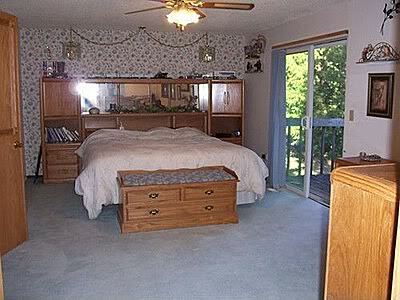 They have owned it for years according to Zillow.com. It's about 40 miles from Portland. I read that Donald was out of work so the couple moved in with Michelle's parents. The grandfather put up a swing set in the yard for the kids but a neighbor said he NEVER saw the kids using it. I just saw the mother of Alexis on the local news and she said she was devastated. Where was this mother while Alexis was wasting away and why didn't she have custody of the two children she shared with their father. The nutritional wasting away didn't happen overnight. How long had it been since the bio mother had seen her children? The mother just said on the local news that she hadn't seen her children since October because Donald didn't make it easy for her to see the children. That's three months! Get a damn lawyer and get your visitation enforced! I would bet that her new man was happy not to have to deal with her children. And now they are going to have one 'together' so everything is just peachy keen. I bet Child Services doesn't return her other child, with Donald, to her. The mother is with another man and pregant with his child. We live in a society of replaceable and throw away kids and it makes me sick. I don't think Alexis' mother should be allowed to raise this child that she's carrying. She failed Alexis and she shouldn't be given a chance to do it to another child. JMHO. That's my honest opinion too!!!! The mothers excuse that it was"hard" to see her children is just an excuse to start all over again with another man and another set of children. Honestly there ought be a law that these irresponsible misfits shouldnt be allowed to have kids at all. She will feel bad for a little while and then the cycle starts all over again. 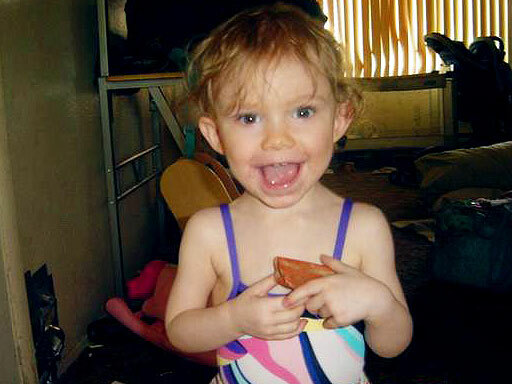 A Clackamas County judge found photos of a 3-year-old Sandy girl who died from abuse and malnutrition so "graphic and disturbing" that he had them sealed in an envelope that can be opened only with the court's permission. Court documents filed Monday revealed that the girl's sister was also injured in what prosecutors called "assault and torture" by the parents. Judge Douglas V. Van Dyk on Monday ordered the state Department of Human Services to take temporary custody of four surviving children of Donald Lee Cockrell and Michelle Nicole Smith, the Sandy couple charged with starving and beating Cockrell's 3-year-old daughter to death. Deputy District Attorney Colleen Gilmartin described the scene in the couple's home as horrific and dangerous to all of the children, all age 5or younger. 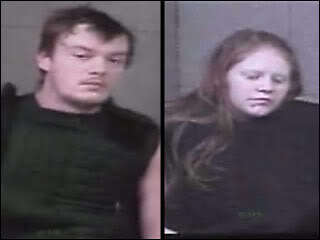 Cockrell, 27, and his fiancée, Smith, 24, are being held without bail in the Clackamas County Jail. In a separate courtroom later Monday, Cockrell and Smith were arraigned on charges of murder by abuse, appearing by video before Judge Robert D. Herndon. They entered no pleas and asked the court to provide attorneys for them. Deputy District Attorney Christine Landers said the case will be sent to a grand jury, where prosecutors will seek an indictment. The results of the grand jury's investigation will be brought to court Jan. 19. Cockrell's daughter, Alexis "Lexi" Marie Pounder, died Saturday of "blunt force trauma and acute starvation," according to court documents Landers filed Monday. The documents allege that Cockrell and Smith engaged in assault and torture of Alexis and her sister and that the sister showed "unexplained injuries consistent with child abuse." Details of the sister's injuries and current condition were not released. Van Dyk did not place the sister with her mother, Heather Marie Pounder, 22, of Gresham. Gilmartin said investigators believe Pounder has a substance-abuse problem that would prevent her from providing a safe home. A preliminary hearing on the issue is set for Feb. 11. Meanwhile, investigators are trying to find the fathers of Smith's children. "They're all different fathers," Gilmartin said. Detective Jim Strovink, Clackamas County sheriff's spokesman, said Lexi lived with her father and Smith in a home on Southeast Cottontail Lane, an isolated dead-end street in a rural area south of Sandy. The pale-blue, five-bedroom home, where Smith grew up, is owned by her parents, Eugene Calvin Smith, 55, and Kimberly Jean Smith, 53. The elder Smiths live upstairs in separate quarters. Cockrell, Michelle Smith and the children lived downstairs. Lexi and her sister are Cockrell's children; the others are Smith's. The children remain in a state shelter and are undergoing thorough medical exams. Next-door neighbor Larry Ulrich remembers Michelle Smith as a "sweet girl" he would cheer on when he saw her pitch for Sandy High School's softball team. Although Ulrich rarely spoke to the young couple, he always heard their children outside in the summer, playing in a large backyard that included fluorescent-blue swings, a playhouse and a mini jungle gym. The recent turn of events has been a shock to Ulrich and his neighbors, he said. "It just doesn't make sense to me, knowing her parents," Ulrich said. "I still can't believe it -- especially the malnutrition." Neither Cockrell nor Smith had arrest records, Strovink said. Sheriff's deputies were not called to the home to investigate any kind of child-abuse report. Citing privacy regulations, DHS officials declined to comment on any prior investigations at the address. None of the children was in foster care. Both Cockrell and Smith formerly worked as state-licensed security guards for DePaul Industries, which provides security services to other businesses and agencies. On Monday, the state Department of Public Safety Standards and Training issued an emergency suspension of their licenses, said Eriks Gabliks, the agency's interim director. On Saturday, Pounder posted a message on her MySpace page, saying "r.i.p. alexis marie my angel I miss you such much." On Monday, Pounder posted a message noting that Cockrell and Smith had been charged, ending with, "i love you baby girl and i." No matter what you read or hear about the ill effects of children raised by single mothers, don't buy into it for a second. It is simply unfounded prejudiced, fundamentalist rhetoric, where the object is to guilt trip you. Sure, optimally and in a perfect world, we would have all liked to raise our kids with a wonderful, loving, available father. And sure, as a result of being single moms, we may not always have as much time, money, or three perfectly balanced hot meals every day as we would have liked. But, you know what? What matters is love. As long as our children are safe, fed, warm, joyful, and grow up knowing we love them unconditionally, they will be luckier, healthier, and happier than most. Don't be a perfectionist. Never let your ideals ever undermine your knowing that your children are doing great. i wrote this poem along time ago when i got put in treatment back in sophmore year, at CCMH. Donald L. Cockrell, left, and Michelle Nicole Smith, appear via video link in Clackamas County court Monday and were charged in the death of 3-year-old Alexis Pounder. A man and his fiancée appeared in court Monday and were charged with murdering the man’s 3-year-old daughter after police said the girl died from starvation and physical abuse over the weekend. Donald L. Cockrell, 27, appeared via video link in a Clackamas County courtroom and was charged with murdering his daughter Alexis Pounder. Cockrell's fiancée, 24-year-old Michelle Nicole Smith, also was charged after Clackamas County deputies found the girl dead at the couple’s home in Sandy Saturday night. 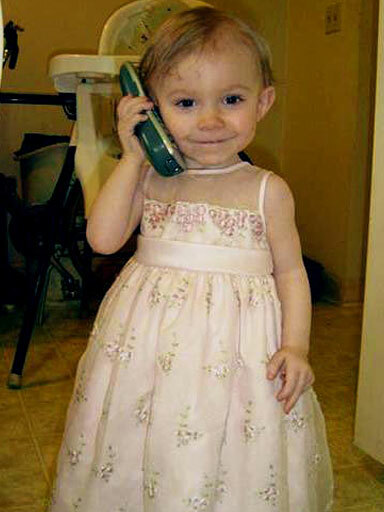 According to court documents, prosecutors also alleged the couple tortured Alexis’ 2-year-old sister. Police said neither Cockrell nor Smith has a criminal record. By phone Alexis’s maternal grandmother said the autopsy report showed Alexis had no food in her stomach when she died and she was beaten to death. The grandmother said she saw no signs of abuse before the incident. However, she said she and her daughter had suspicions something may be going on. She said the last time she saw Alexis was in November. Since then, she said Cockrell had not allowed her daughter - Alexis' birth mother - or her family to see Alexis. Alexis’s mother’s family also said they did not want to comment. Both families said they wanted time to sort things out before they talk about the death of Alexis. Court records show Cockrell filed for custody of Alexis and her 2-year-old sister in July and was awarded physical custody last month. Several people live in the home, including Smith’s parents, who live apart from their daughter on a separate level of the house. Alexis’s sister, a baby born to Smith and Cockrell, and two other children are now in the custody of the Department of Human Services. I don't understand this. I thought two of the children belonged to Cockrell and three belonged to Smith. This says they had one together. What's up with that? I think this may have been written by someone that doesn't know what they write....... The MySpace of the mother of Alexis shows that she and D Cockrell had two daughters together. Why can't the media get it right? Heather Pounder's MySpace has just been made private. they wanted to erase the children he had and focus on the her children alone. I hope they are both eligible for the death penalty but probably not. He was awarded physical custody last month? Does that mean Alexis was being starved before that? An empty stomach doesn't mean starvation, but from the way it reads, she must have been emaciated, and maybe he will blame the child's mother for her nutritional condition? That mother (Pounder) is one screwed up piece of work! Her MySpace tells it all! As for the home, where did those pix come from? Realtor? It was noticeably clean and in perfect order. Looks like the house had plenty of TLC... why not the kids? Those Smiths should be held accountable for their part in all of this. Just after midday Saturday, Jan. 9, firefighter/paramedics and Clackamas County Sheriff’s deputies were called to the thickly forested ravines a few miles southeast of Sandy. In an isolated home at nearly the end of a one-way, dead-end road, a 3-year-old girl lay motionless. Deputies who responded to 22050 Cottontail Lane and investigated the incident allege that one or both adults living in the home were responsible for beating and starving the toddler – until she died. An autopsy performed Sunday by Dr. Larry Lewman of the Oregon State Medical Examiner’s Office revealed Alexis M. Pounder died of “physical and nutritional child abuse,” Sheriff’s Detective Jim Strovink said. Her biological father, Donald L. Cockrell, 27, was taken into custody Sunday along with his reported fiancée, Michelle N. Smith, 24, who were both residing in the home with five children. Three children are reported to be Smith’s and two, including the deceased, are reported to be Cockrell’s. Cockrell’s other female child also was reported to have similar injuries and signs of abuse, according to Deputy District Attorney Christine Landers. All four children were taken into protective custody by the Clackamas County Department of Health, Housing and Human Services, Strovink said. Smith’s children also are being examined for signs of child abuse. Cockrell and Smith have been charged with murder and are being held in the Clackamas County Jail without bail. They appeared before Circuit Court Judge Robert D. Herndon by closed-circuit video Monday afternoon to be arraigned on the charges. A formal grand jury indictment is expected to be presented in court on Tuesday, Jan. 19, at which time a trial date would be set. But that is not the end of the investigation, Landers said. Landers also would not divulge if a search warrant had been obtained or if the use of illegal or prescription drugs had exacerbated this family’s lifestyle. “There is nothing in the charging instrument or the public record regarding drug use,” she said. A check of the database of the Oregon Trails School District shows no children from 22050 Cottontail Lane attend any school in the district, according to Julia Monteith, communications director for the district. The expected school of attendance would be Firwood Elementary, but Monteith also checked with the principal, who said no one from that address attends Firwood. Ordinarily, when anyone from a district school dies the district brings in grief counselors to mitigate the emotional circumstances. But in this case, Monteith said, nothing’s planned because none of the children attended area public schools. The home on Cottontail Lane belongs to Smith’s parents, who resided in separate living quarters inside the home on a separate level — apart from their daughter, Cockrell and the five minor children. Landers would not say if Smith’s parents were being considered at any fault in this incident. Cockrell has no history of criminal arrests, while Smith’s record includes only traffic offenses such as speeding and failure to display a license. I would like to know who made the 911 call to the home? At least we know the kids are in protective custody. WHY would they pick Alexis to torture. abuse and starve to death and leave at the side of a road? And another child had bruises? WTF?? And what is up with the grandparents? This is nuts, just nuts all around. If my grandchildren were being abused or starved, I would know it in an instant. I am perplexed and pissed off at this case!! What the hell is wrong with this entire family? A Sandy couple charged with beating and starving the man's 3-year-old daughter to death remain on suicide watch in the Clackamas County Jail. 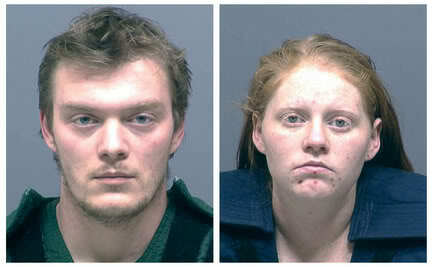 Donald Lee Cockrell, 27, and Michelle Nicole Smith, 24, both are being held without bail on charges of murder by abuse. They were arrested Sunday after Alexis Marie "Lexi" Pounder was found dead in their home, south of Sandy. Detective Jim Strovink, Clackamas County sheriff's spokesman, said the extra scrutiny of "administrative watch" is customary in serious, high-profile cases. "It is in the best interest of the inmate," Strovink said. Meanwhile, a grand jury is being convened to investigate the case. Additional charges are expected against Cockrell and Smith, after Monday court testimony indicated authorities had evidence that Lexi's sister also was abused. The grand jury is scheduled to complete its investigation next week. Wrap, Im with you - suicide is the easy way but I wouldnt stop them. They always cry when they get caught. I think that they wanted to "erase" his two children and just take care of hers - after all he lived at her bounty - it was her parents home. why can't all grandparent be REAL grandparents??? like LM or my mom?? if my mom sees anything diff in the girls or if they are sick she lectures me to make sure they are ok.
Ugg, I am so irritated about this case. So many WHY's! Why did they starve this child and not some of the others? Why did the Grandparents NOT report anything? I think that they abused Donalds other daughter too but not her children. As we went over in the article about Casey Anthony that I posted from Marilee Strongs book where she types men who murder their wives as Eraser killers - and now has also called Casey an Eraser killer - then maybe this also extends to children too - parents who want to "erase" the children from a former marriage to just concentrate on the children with their current partner. Ya, I read that article you posted Artgal! It was a good one! You are right! It is like they just want to erase part of their lives, so that they can continue on the way they want to live their lives! that Josh Powell Comes to mind also!! He gives me the creeps everytime I hear him talk! His emotions are soooo fake and I can NOT believe he has not been arrested yet! I am soo scared for those children... will he erase them too? and they use murder to do so. IT's so sick! What a scary world we live in Artgal!! Poor little thing, to die starving, can you imagine what it was like to not have eaten in so long that there was not a trace of food in her stomach? Smith's parents should be ashamed, always easier to look the other way. Living on a separate floor is no excuse, they still shared the same kitchen etc. Her parents had to see how Alexis was being treated. How many more of these stories can we stand to read, if they wanted to erase little Alexis why not give her to a family member with a stable environment, someone from the mom's side, instead they tortured her and let her starve to death. Lindamarie...do u know when these pics were taken? Her face is gaunt, esp. in the last one. And look how thin and scraggly her hair is--u can see her scalp. And look how she was so happy eating. What a cruel death...it is a slow, painful death. May Alexis be in a safe place now. I read in an article that this little Girls mother (NOT a POI) said her daughter had an appetite problem and they had talked to a Dr. about getting her healthy. What happened with that?? I mean, if any of us had a child that was a picky eater, we would do EVERY THING we could to get our child healthy. Letting them eat what ever they wanted if that meant they would gain weight, so what did this dad and girlfriend do? Why did they NOT feed this child what ever would help her gain weight? 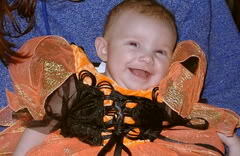 What a darling baby girl, and what a damned shame the family ALLOWED this girl to literally starve to death. I think her hair was falling out because she was completely malnourished. And really, most kids that age WILL eat when they are hungry. You have to work with them, as Mommy said. laga wrote: I read somewhere on VH that meth addicts have sores on their face and I see something on this woman's face? I am sure their defense team will come up with some excuse for this. Wrap, you ask what is wrong with these people...I think evil is rampant and there is not enough people who actually give a damn about the children and those that do are mostly powerless to change anything beyond their own little world. Soon as I saw her picture I thought the same thing, that Smith is a meth head. This case has twisted my stomach into knots, just imagining what little Alexis went thru, imaging the agony of starving to death and being hurt and not knowing why. Looking at her scalp and thin hair breaks my heart. She looks like a child on chemo.